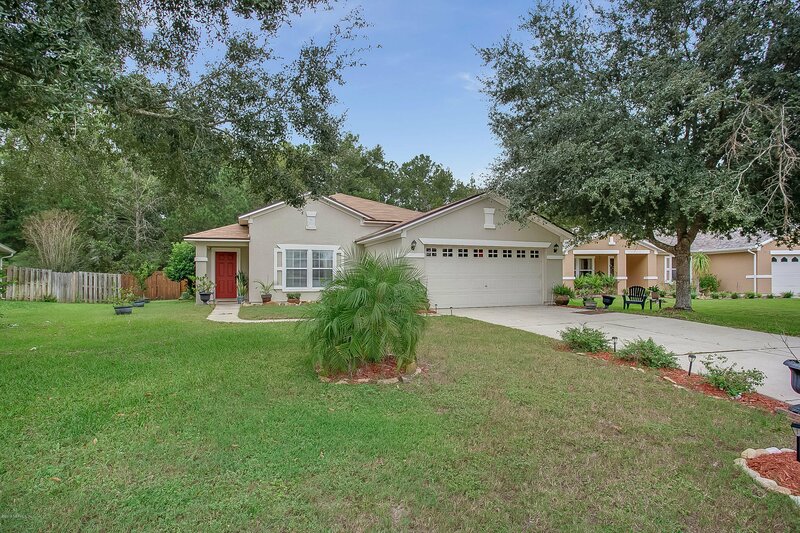 Fantastic 3br/2ba home plus study located in the highly desirable World Golf Village Area in St. Johns County! NEW ROOF 07/18! Easy commute to Jacksonville, via I95! Located on nice size lot that back to preserve. Large family room that opens to the kitchen/breakfast nook area. Just off the family room you'll find a spacious den/office with French Doors, would also make a great 4th bedroom and with the recessed area, it could be converted easily to a closet. Large master suite with bay window, walk-in closet, master bath with shower & garden tub. Spacious secondary bedrooms and large guest bath. Laundry room located just off the garage! No carpet! Laminate flooring throughout family room, office/den & all bedrooms. Enjoy bbq's on the large covered lanai that overlooks the fully fenced rear yard, with nice planters for your gardening! Backs to preserve for privacy. Just waiting for new owners! Listing courtesy of RE/MAX SPECIALISTS. Selling Office: SOVEREIGN REAL ESTATE GROUP.